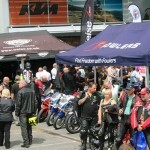 Thousands of motorcyclists flocked to Fowlers’ showrooms in central Bristol on Sunday, 17th July to join the celebrations for the family-run firm’s 90th anniversary. When the doors opened at 10:30, a queue numbering several hundred had already built up, with early-bird bargain-hunters eager to take advantage of the unrepeatable deals on offer in the clearance marquee, which had been set up in the car park for the day. 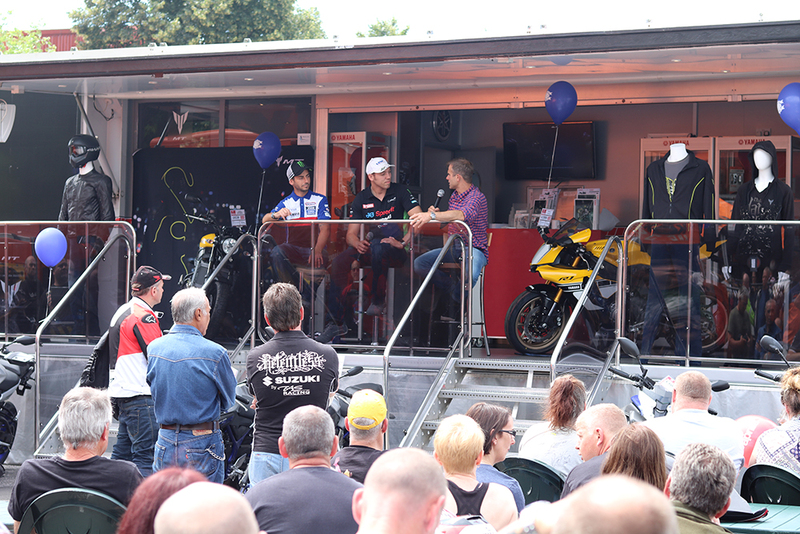 Star guest Jamie Whitham entertained the crowds, interviewing top superbike racers, including Peter Hickman, John Hopkins, Tommy Bridewell, Dan Linfoot and up-and-coming road racer Craig Neve. Jamie also conducted the charity auction, which succeeded in raising £1075- for the Great Western Air Ambulance. 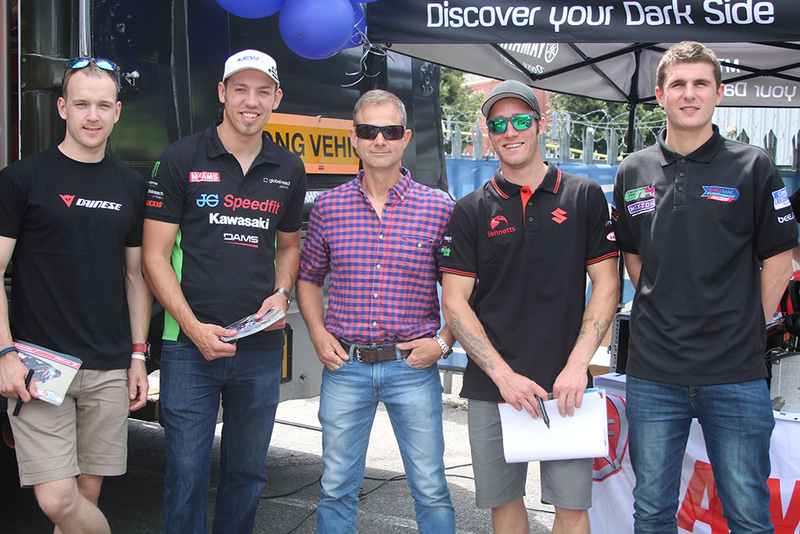 There was plenty more to keep visitors occupied throughout the day; KTM, Triumph & Yamaha brought their promotional vehicles to showcase new models, and the Vintage Japanese Motorcycle Club put on a display of machines from the 1970s, ’80s & ’90s. 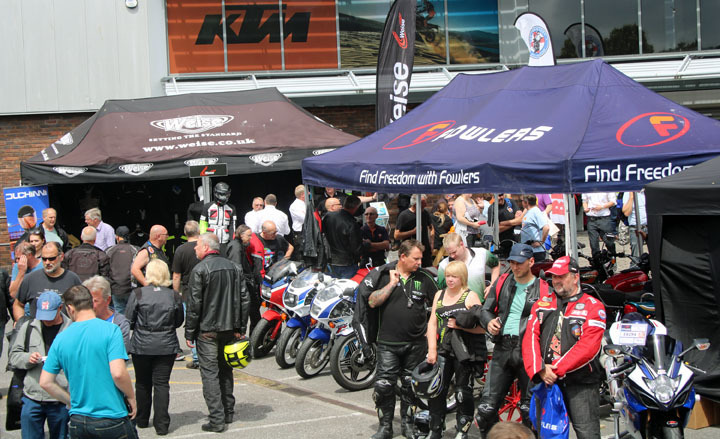 Fowlers’ own technicians were kept busy carrying out free ‘health checks’ on visitors’ bikes and offering advice on routine maintenance, while WD-40 provided a free chain lube service. 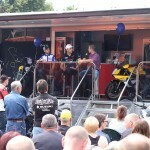 Both Shoei and Arai helmets were on site to assist with queries and to service helmets. 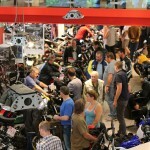 As temperatures reached 25ºC, many people took a break in the spectacular, air-conditioned showrooms, where they were able to peruse the latest models from Aprilia, Gilera, Honda, KTM, Moto Guzzi, Piaggio, Suzuki, Triumph, Vespa and Yamaha, plus hundreds of premium quality pre-owned bikes. They could also browse the 7,500 square feet of famous-name clothing and accessories or visit Harry’s Café, perched up high on the top floor overlooking the bikes on display. Meanwhile, sun-worshippers enjoyed an ice cream in the outside seating area and listened to classic rock tunes courtesy of DJ Chunky. The free event was held to celebrate 90 years of Fowlers, which began life 4 generations ago, in 1926 with a small corner shop in the heart of Bristol opened by Frank and Alice Fowler. 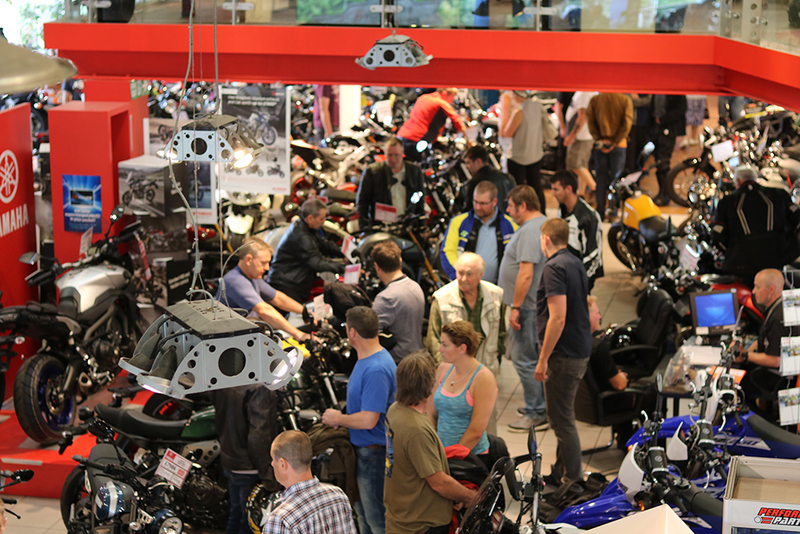 Nine decades later the business has grown into one of Europe’s most spectacular motorcycle retailers. This entry was posted in Events on 19/07/2016 by Dan Sager.